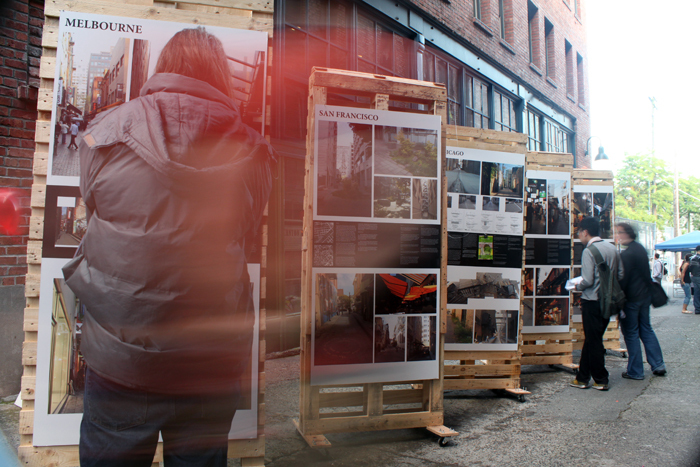 Yesterday, I had the pleasure of presenting my work in the International District’s Jamfest. 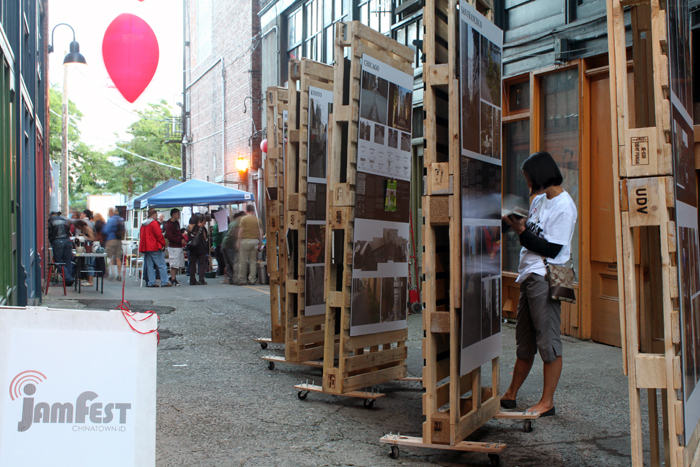 This was the first alley site to be visited by the Tight Urbanism exhibit. 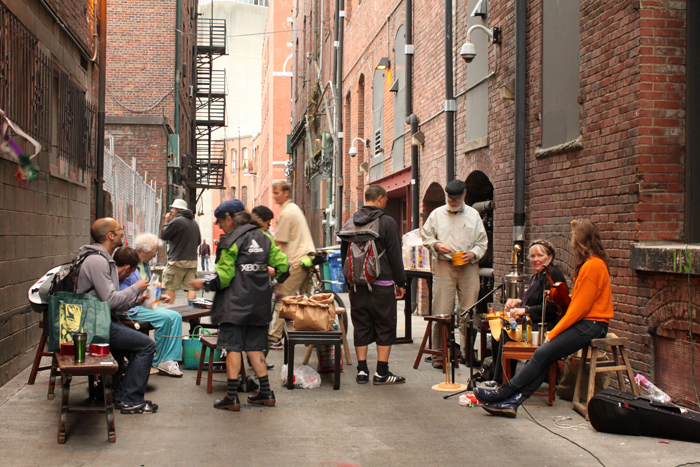 For over a year now, the Wing Luke has been facilitating discussions regarding doing away with dumpsters in the historic Canton Alley and making it a model clean alley for the International District. The alleys in this neighborhood see an increible amount of dumping and food waste with the plethora of restaurants in the area. In addition to the latent problems, Canton alley posseses a very special history with it’s location between the two Kong Yick buildings. These buildings were built from funds pooled together by hundreds of individuals and families that reached the area during the turn of the century. Canton alley was not only a service alley like its’ other Seattle contemporaries, but actually housed a number of loft-style alley oriented apartments. These large apartments were almost like tenements in that multiple families shared each apartment and some had businesses in storefronts on the alley. These storefronts are still visible here and one of the apartments has been entirely refurbished to look like it would have at the turn of the century – you can organize a tour through the Wing Luke. I am excited to see the dumpsters come out of Canton Alley and for it to become a unique space for the neighborhood. 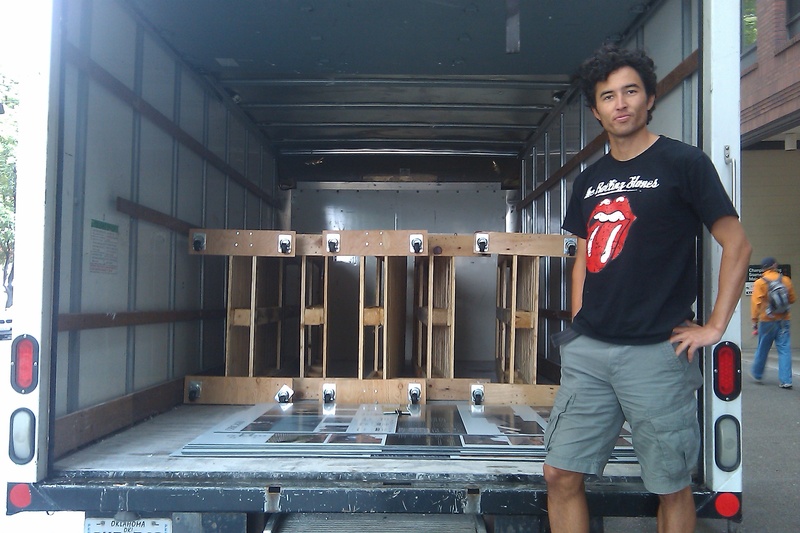 I would like to thank my friends Cameron Colpitts and Teddy Toyama for helping me move the exhibit around this weekend – pallets are heavy. 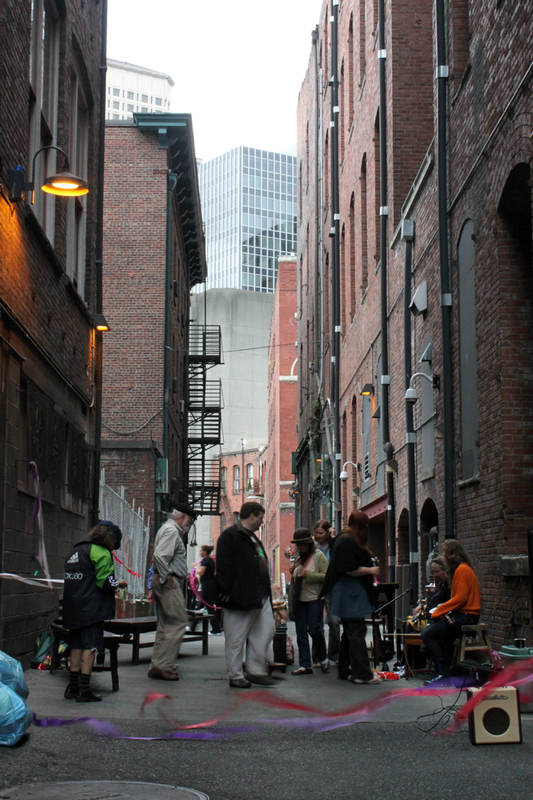 Last First Thursday in Pioneer Square, Firehouse Alley also had a great party where we had Irish folk music, hula hoopers, and marshmallow roasting in the alley! There was a great turn out and it is inspiring to think we started working on this alley a year ago and now it is seeing nearly 50-100 people come through every first thursday. Join us at the next party on August 3rd! 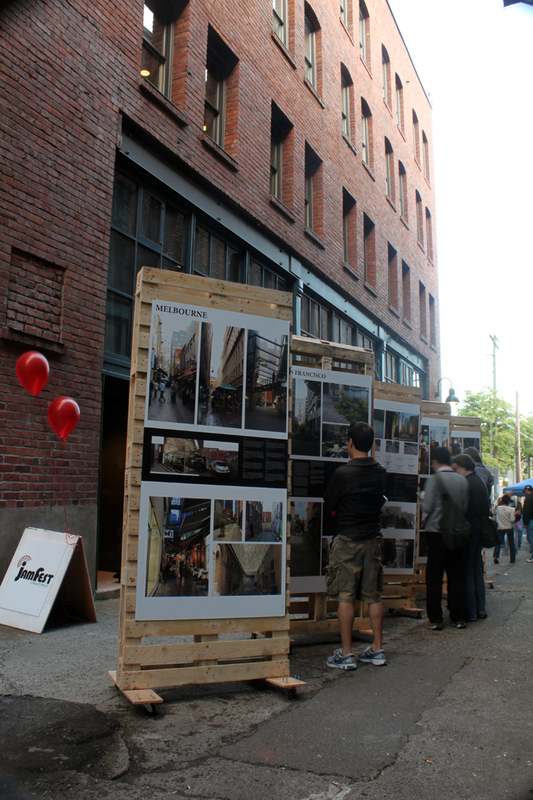 « Tight Urbanism exhibit extended to July 15!